Keep in mind that if you want all-wheel drive on the Kizashi, you have to get the CVT, which makes the Kizashi a little less fun to drive. The 2011 Kizashi is the best Suzuki car to date—a sophisticated and well-designed small sedan that's a lot more fun to drive than most other compact sedans. Sold under nearly any other badge, chances are the 2011 Suzuki Kizashi would be a wild sales success. Sized a step smaller than American mid-size sedans, yet closer to entry-lux sport sedans like the Audi A4, Mercedes-Benz C-Class, and Acura TSX, the Kizashi feels like a premium, sport-flavored alternative to the likes of the standard Volkswagen Jetta or Chevrolet Cruze. And provided you're not a stickler for backseat space, it can fit a small family's needs about as well as a Toyota Camry or Nissan Altima. Even visually, the 2011 Suzuki Kizashi clearly borrows some influences from a wide range of other design standouts. It's more than a foot shorter than most mid-size sedans—closer to compacts like the Volkswagen Jetta and Chevrolet Cruze—and the Kizashi strikes some great proportions, taking a rather conservative, traditional sedan profile and dressing it up. The Kizashi's cabin feels upscale and stylish, and it stands in a class above the interiors of most other four-cylinder mid-size (or compact) sedans. There's a little bit of sports-car swoopiness in the two-tier instrument panel design, with a large, hooded gauge cluster and just a tiny touch of chrome to punctuate the look but not overwhelm. 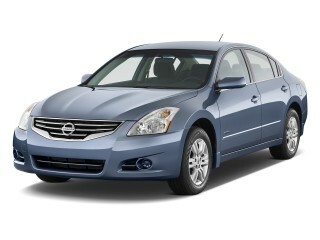 Well-bolstered sport seats and coarse cloth or ventilated leather complete what amounts to a sporty, upscale feel. The 2011 Suzuki Kizashi only comes with a four-cylinder engine, but it's a gutsy one that can move this compact sedan plenty quick. 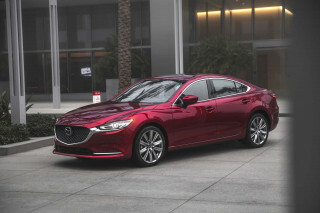 The 185-hp, 2.4-liter feels at its perkiest between 2,500 rpm and 5,000, and it provides spirited performance either with the six-speed manual gearbox or available continuously variable automatic transmission (CVT). With the CVT, the Kizashi comes either with front-wheel drive or the new i-AWD system, which is configured for enhanced cornering and managed via the stability control system. EPA fuel economy ratings aren't that impressive, though ranging from 20 to 23 mpg in the city and 29 to 31 mpg on the highway. While the powertrain is good but not stellar, the Kizashi is very remarkable—and by some accounts class-leading—with respect to steering and handling. It has excellent steering response; it loads up predictably—and better than most electric-boost units—though it doesn't have much road feel. Overall, though the Kizashi feels athletic, and excellent suspension tuning, body control, and grip give it a nimble, tossable feel. Brakes employ Akebono performance calipers, and they feel strong but a little touchy. Suzuki hasn't accomplished any magic with interior space here; the 2011 Kizashi is more of a compact sedan than a mid-size one on the outside, and the same rings true inside. However, the Kizashi has nice, supportive front bucket seats that are highly adjustable and even good for taller folks—plus a great driving position. In the back seat, it's no limo, but even the tallest, lankiest folks can get comfortable back there for a trip across town. Throughout the Kizashi, materials are a pleasant surprise. Nicely grained plastics pair with soft-touch and padded surfaces in most of the places you'd brush against. Thanks to some excellent suspension and sound-insulation work, the 2011 Suzuki Kizashi rides very well, too, with a firm but well-damped feel overall. Purely in terms of features for the money, the 2011 Suzuki Kizashi looks like quite the deal. Suzuki typically offers few if any options on its U.S. vehicles, instead including a strong list of standard features, and the Kizashi takes that to a new level with all Kizashi's including keyless entry and dual-zone climate control, for instance. Both the GTS and SLS models are now termed GTS Sport and SLS Sport; with the new Sport moniker comes with a lowered suspension that rides 10 mm lower than the base setup; a bolder, lightweight wheel design; a trunk spoiler; body sill extensions; a more aggressive front fascia; and a bolder, 'aero' look. Inside, the Sport models get a different steering wheel with perforated leather grip, leather-trimmed seats with contrasting stitching, and front sport seats that are a little more supportive and form-fitting. At the top of the line, a navigation system is available for $1,399 and includes a rear camera system, real-time traffic, and iPod controls. Even when optioned with that, a loaded Kizashi SLS Sport still totals well under 30 grand. 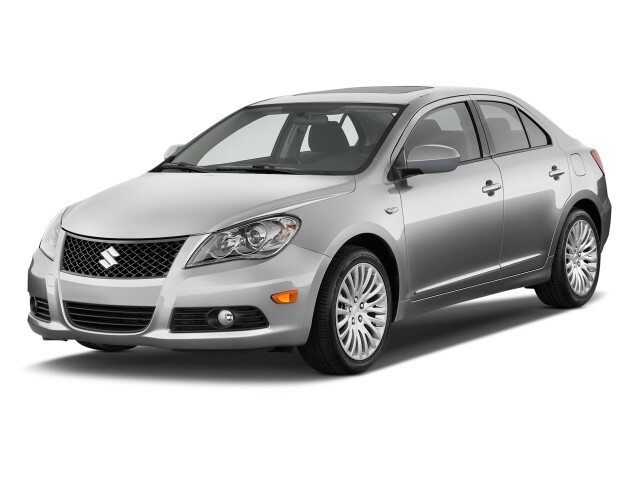 The 2011 Suzuki Kizashi isn't daring, but it strikes a great balance between sporty and elegant, and is more finely detailed than any other vehicle at this price point. Visually, the 2011 Suzuki Kizashi promises a lot more excitement than bread-and-butter sedans like the Toyota Camry or Chevrolet Malibu—and rather than mimicking any particular Japanese or European automakers, it clearly borrows some influences from a wide range of other design standouts. Though it's more than a foot shorter than most mid-size sedans—and closer to compacts like the Volkswagen Jetta and Chevrolet Cruze—the Kizashi strikes some great proportions, taking a rather conservative, traditional sedan profile and dressing it up. 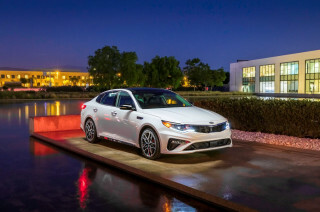 Like nearly every other sedan today, it has character lines that follow from the grille and headlights, through the hood, to the beltline, and its smooth, uncreased flanks are contoured just enough to avoid being called slab-sided. Particularly from the back, the Kizashi looks serious and performance-oriented, especially in new Kizashi Sport trim, which brings a lowered suspension and especially flashy alloy wheels. The Kizashi's cabin feels upscale and stylish, and it stands in a class above the interiors of most other four-cylinder mid-size (or compact) sedans. There's a little bit of sports-car swoopiness in the two-tier instrument panel design, with a large, hooded gauge cluster and just a tiny touch of chrome to punctuate the look but not overwhelm. 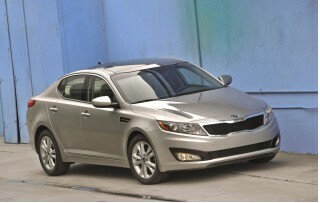 Well-bolstered sport seats and coarse cloth or ventilated leather complete what amounts to a sporty, upscale feel. The 2011 Suzuki Kizashi's powertrains feel energetic but ordinary; however out on a twisty road it has the verve of a pricier sport sedan. The 2011 Suzuki Kizashi only comes with a four-cylinder engine, but it's a gutsy one that can move this compact sedan plenty quick. 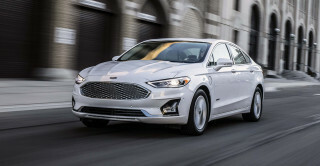 The 185-hp, 2.4-liter feels at its perkiest between 2,500 rpm and 5,000, and it provides spirited performance either with the six-speed manual gearbox or available continuously variable automatic transmission (CVT). The manual gearbox is definitely the best of the two, with a smooth, well-coordinated clutch takeup, even if the shifter feels a little imprecise, and a tall fifth and sixth gear bring relaxed high-speed cruising. Zero to 60 mph takes as little as 7.5 seconds. With the CVT, the Kizashi is a less exciting car overall (and the engine makes 5 hp less, technically); it doesn't feel nearly as responsive, even if it can accelerate quickly. 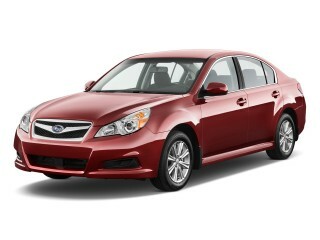 In Drive, the CVT takes too long to ramp up revs for brief passes or squirts of power. But paddle-shifters alongside the steering wheel allow access to six simulated ratios on all but base S models, and pre-ordering one of those ratios allows better responsiveness. With the CVT, the Kizashi comes either with front-wheel drive or the new i-AWD system, which is configured for enhanced cornering and managed via the stability control system. Suzuki hasn't accomplished any magic with interior space here; the 2011 Kizashi is more of a compact sedan than a mid-size one on the outside, and the same rings true inside. However, the Kizashi has nice, supportive front bucket seats that are highly adjustable and even good for taller folks—plus a great driving position. In the back seat, headroom can be a little tight and there's clearly not as much space overall compared to mid-size cars, but even some of the tallest, lankiest people will be able to wedge in there for across-town jaunts. Also, then there's no middle passenger (we advise you limit it to two back there), there's a folding armrest with sturdy cupholder. Where the Kizashi shows its compactness most, perhaps, is in trunk space. While its trunk is decently sized, the opening is narrowed than that of mid-size sedans. Seats are split 60/40 and fold forward, though not quite to a fully-flat position; however headrests tuck nicely away without needing to be removed. Throughout the Kizashi, materials are a pleasant surprise. Nicely grained plastics pair with soft-touch and padded surfaces in most of the places you'd brush against—except for the hard side of the center stack (knees), and controls are backlit in a soft red hue, with gauges lit in a pale blue, matching the vacuum fluorescent audio and climate control displays. Controls for audio and climate have a positive, high-quality feel with a textured grip; they wouldn't be out of place on a car costing twice as much. The USB input, for iPods or other media players, is located inside the large storage bin just ahead of the shifter, so you can close the lid and leave the electronics out of view. Thanks to some excellent suspension and sound-insulation work, the 2011 Suzuki Kizashi rides very well, with a firm but well-damped feel overall. Even minor bumps from railroad tracks, potholes, and the like aren't overly jarring, and in general there's less road noise than many other sporty, non-luxury sedans its price. Overall, the 2010 Suzuki Kizashi feels a little more sophisticated and detail-oriented than other mainstream mid-size sedans (or at least their base versions), with pleasing materials and an interior that's nicely detailed and just roomy enough by most accounts. About the only issue is that the engine tends to get boomy when revved; but overall with very little vibration and switchgear that feels high-quality, the Kizashi has a remarkably sophisticated feel. In most respects, the 2011 Suzuki Kizashi offers top-notch safety. All the usual—and expected, for a sporty model—safety equipment comes standard in the 2011 Kizashi. Anti-lock brakes and electronic stability control are included across the model line, and the entire Kizashi model line comes with a class-leading eight airbags, including front side airbags, side curtain bags, and rear side bags. In Kizashi models with AWD, the stability control system can momentarily send more power to the rear wheels and help counter a skid, whether or not AWD is currently engaged. The stability control system also enables stronger steering boost in these situations for quick countersteering. 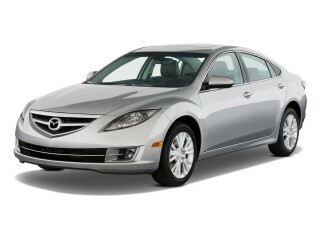 There's very little to find fault with; the 2011 Suzuki Kizashi offers the mother lode of features, for a bargain price. Purely in terms of features for the money, the 2011 Suzuki Kizashi looks like quite the deal. Suzuki typically offers few if any options on its U.S. vehicles, instead including a strong list of standard features, and the Kizashi takes that to a new level. For 2011, the lineup of trims has changed a little bit; the Kizashi is now offered in S, SE, GTS Sport, and SLS Sport models. The S is still the most affordable model, starting at less than $20k, but it includes a surprisingly high level of standard equipment like push-button start, sport seats, dual-zone climate control, and steering-wheel audio controls. Next up is the SE, which adds a power memory driver seat, cruise control, 17-inch alloys, and upgraded trim. A 425-watt Rockford Fosgate sound system, fog lamps, a moonroof, and 18-inch wheels are all part of the GTS, while the top-of-the-line SLS includes leather upholstery, heated front seats, rain-sensor wipers, rear parking sensors, heated mirrors, an auto-dimming mirror, and a garage-door opener. 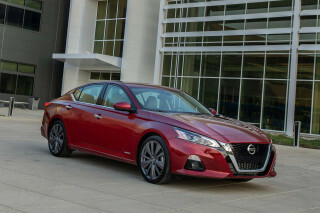 One of the glaring issues with the Kizashi's feature list—and what most keeps it from being a perfect 10—is that while Bluetooth hands-free calling and Bluetooth audio streaming are offered with the top-of-the-line audio system, and Bluetooth hands-free calling is optional on the GTS, it's not at all offered in the S or SE. In repeat drives, we've found issue with the audio system's inability to display track information—or more than just a few characters. The 2011 Suzuki Kizashi is a little disappointing here, with lower fuel-economy figures than a number of larger mid-size sedans. 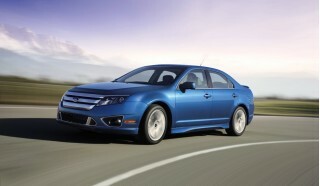 EPA fuel economy ratings range from 20 to 23 mpg in the city and 29 to 31 mpg on the highway. That's not very impressive, and these numbers fall short of those in a number of four-cylinder mid-size sedans. In a Kizashi with the six-speed manual, TheCarConnection.com observed 27 miles per gallon over more than 150 miles of varied driving, much of it quite spirited. We saw 23 mpg in a mix of driving, in both a manual-transmission Kizashi Sport and a CVT- and all-wheel-drive-equipped Kizashi S.
The fuel economy figures (especially those official EPA estimates) are lower than expected, especially considering that the Kizashi isn't geared particularly low, and it has a lower curb weight than virtually all mid-size sedans. Conclusion: The 2011 Suzuki Kizashi is a little disappointing here, with lower fuel-economy figures than a number of larger mid-size sedans. Looking for a different year of the Suzuki Kizashi?